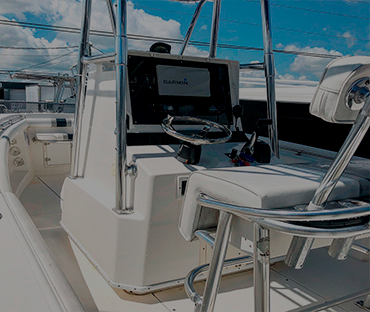 Eric's Outboard Marine Service, Inc. was founded in 1986, and is now the leading South Florida service center for Yamaha Outboard maintenance and repairs. Our service department offers everything from minor tune-ups, annual services and maintenance to major overhauls performed by experienced Yamaha Certified Yamaha Master Technicians. We also handle warranty claims within our service area. Our team usually processes 200+ warranty claims per year. Having a technical trained team allows us to provide the best service possible. Our service department can work on our premises, dockside, on-site, and now our on the water front location at Black Point Marina. If you are not able to bring us the boat yourself, we can arrange for vessel pickup and delivery services. We also handle most plumbing and electrical repairs along with complete installations of electronics and accessories for boats, bow to stern. Ryan is our in-house Service Writer. Ryan brings years of business and personal experience of boating to our firm. Ryan shares our Points of Culture providing a high workmanship standard of quality with every job. Ryan is ABYC Certified. ABYC standards promotes safety standards for the design, construction and repair of boats. Our in-house service center provides a wide range of services. Below is a sample of services provided. To discuss services you may need or schedule services, call Ryan at 305-767-7494 (direct number) or 305-251-4067 (main office). To email Ryan, Click here.